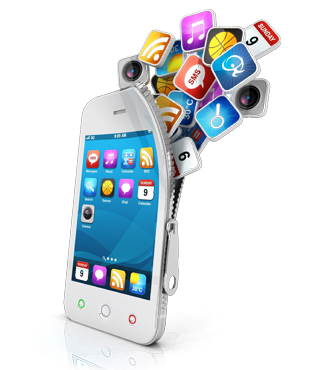 AppMarkrtingPlus has an expert team to provide App Store Optimization & Google Play Optimization Services. We use the keyword ranking and monitoring tools and help you to achieve higher ranking and hence more organic downloads. App store optimization is something that completely eludes many people who would otherwise have some of the best apps on the market. Unfortunately, creating an app that works great and does a ton of cool things is not necessarily enough to get a lot of people to use it. Like anything else, marketing is a huge part of the game. If people are unaware that the app is available or they are not fully aware of what it can accomplish or how great it is, they very well may choose to bypass it in favor of other apps which are similar, but may not be nearly as stunning. Furthermore, failing to make the general public aware of the availability of an app means that many people who may have chosen to use it are not even aware that it exists. This can sometimes be hard because it involves a great deal of effort. Simply thinking of keywords that are relevant to the app itself and stuffing descriptions full of those keywords is not sufficient. Instead, it requires a great deal of research about which keywords are the most competitive and which ones will allow the subject matter that is written about the app to go to the top of the list on any Internet search. This is accomplished by first brainstorming keywords and then creating a list of keywords that are readily accepted with most search engines. Subject matter using those keywords is then created, thus generating buzz about the app store. It is equally important that the right category is chosen for the app and that it is not placed in the wrong area. This sounds simple enough, but it is not uncommon to see apps placed in categories where they really do not fit. This creates confusion on the part of the consumer and causes many people who may otherwise be interested in downloading the app to simply bypass it. Therefore, make sure that it is placed in the correct category. Creating an app requires that a description be written about it that engages the audience and makes the individual who is considering downloading it want to know more. Briefly describe what the app is and what it does and then go on to elaborate about why it is important that someone download that particular app instead of a different one. Take the time to describe it thoroughly and make it an engaging description that excites the reader. This will generate additional downloads and drive more people to the app store. Part of creating a great app involves creating screenshots and icons that are engaging. Just as an engaging description must be written, app store optimization cannot occur without screenshots and icons that accurately describe what an app is used for and why it is superior. Use caution in selecting the right images so that the general public is interested in the app. By making screenshots and icons stand out, more people are likely to investigate a particular app further before they look into similar apps. App store optimization is not complete without regular updates. Nothing is more frustrating than downloading an app and then seeing that the app does not update on a regular basis. Software becomes outdated and eventually people will decide to discontinue using the app altogether if it is not updated on a regular basis. It is the only way to remain current against the competition and to ensure that there is a level of safety when people purchase an app from the app store. Perhaps the most important thing about app store optimization is response to customer questions and complaints. It is one of the most frustrating things in the world to have a problem with an app and to contact the person in charge, only to be ignored or to be told that there is nothing that can be done. This will cause the loss of more customers than virtually anything else. Make no mistake, word of mouth gets around and whether the word of mouth is positive or negative, it will dramatically impact sales in the app store. Address the concerns of customers immediately to avoid problems later on. By following these steps, it is possible to create app store optimization at the highest level. Paying close attention to detail while developing the apps and while maintaining the entire store itself is vitally important. It is essentially the only way that success can be achieved or maintained. Many people have the misconception that app store optimization occurs when things are in the process of research and development. The truth is that it occurs at every level and that a miscue at any point in the process is detrimental to the entire project. Following through is equally as important as research and development and it is only when these two things can come together to create one comprehensive package that app store optimization can truly be created. AppMarketingPlus team has skilled ASO Professional, who can help you to target right keywords and help you to higher rankings.